"Linda Smith's varied and well-played . . . program of Brahms's late Vier Klavierstücke, Bach's Partita No. 4 and Chopin's Barcarolle, Op. 60 is straight stuff. What makes her [compact] disc special is the inclusion of Samuel Barber's Piano Sonata. In hindsight, Barber's may be the perfect post-modern sonata with Baroque bits bumping up against jazz dissonance. Smith handles it all comfortably . 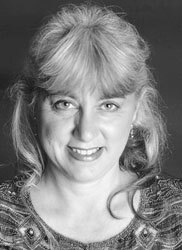 . . " (Willamette Week) Ms. Smith has performed standard solo and chamber music to audiences nationally for over 20 years. Linda Smith is known for her colorful musical interpretation, sincere warmth, and solid technique. Her 1999 release of her first CD, Unveiled, was received with critical acclaim. Recent engagements included appearances at Oregon State University, Linfield College, Portland State University, The Historic Elsinore Theatre Piano Series, Concerts in the Chapel at Warner Pacific College, Central Michigan University, and Spring Arbor University in Spring Arbor, Michigan. Ms. Smith earned a Doctor of Musical Arts from the University of Washington and a Master of Arts from the University of California in Riverside. She studied with Bela Siki, Neal O'Doan, Mark Westcott, Daniel Pollack, and Donna Turner Smith. 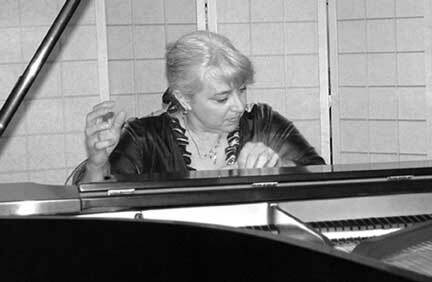 She also participated in masterclasses with such notables as Ruth Laredo, Igor Kipnis, and Gyorgy Sandor. Dr. Smith is a well-known artist-teacher and clinician. She presents workshops and master classes in which her warm style and musical insight create an enjoyable experience for all.